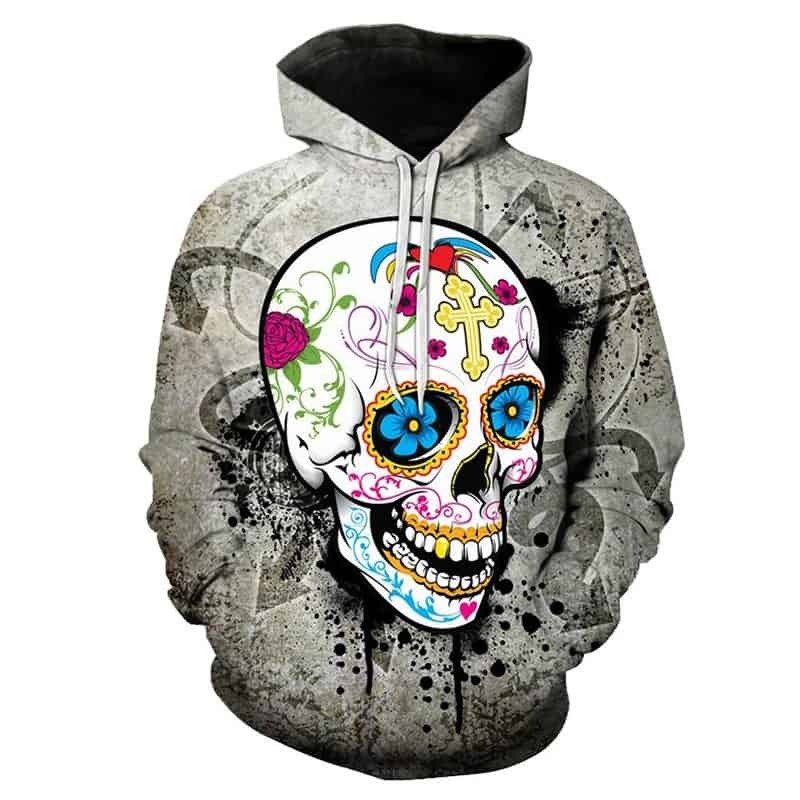 A cool skull hoodie, unlike the traditional ones, this features flowers! The skull contains flowers in the eyes and various patterns on the rest of the skull. The skull is placed on a grey backdrop. The hoodie is comfortable to wear, looks fashionable and is wearable anywhere. It was designed for both male and female.